Healing Vaidya Foundation has seen, spoken to, visited or participated in the journeys of over 10,000 patients in the short span of 2 years. But continuing the individual level of correspondence and providing support has been challenging both financially and timewise. As a result, HVF is currently compiling data having met with thousands of patients, caregivers and doctors to better understand the relationship between patients and doctors, patients and caregivers and finally patients and themselves. Given that the crux of Healing Vaidya Foundation is to empower patients to be in charge of their own medical lives, having a more researched, detailed breakdown of common myths and misgivings about disease, death and health - The Remedy Is Me will be an important starting point of dialogue for the larger community about how to become more proactive in the journey. After years preparing meals for himself that helped to keep him healthy and ultimately led to his remission, Healing Vaidya Foundation founder, Amit Vaidya has taken the Food Is Medicine mantra and now decided to share the creative recipes that has kept him thriving. 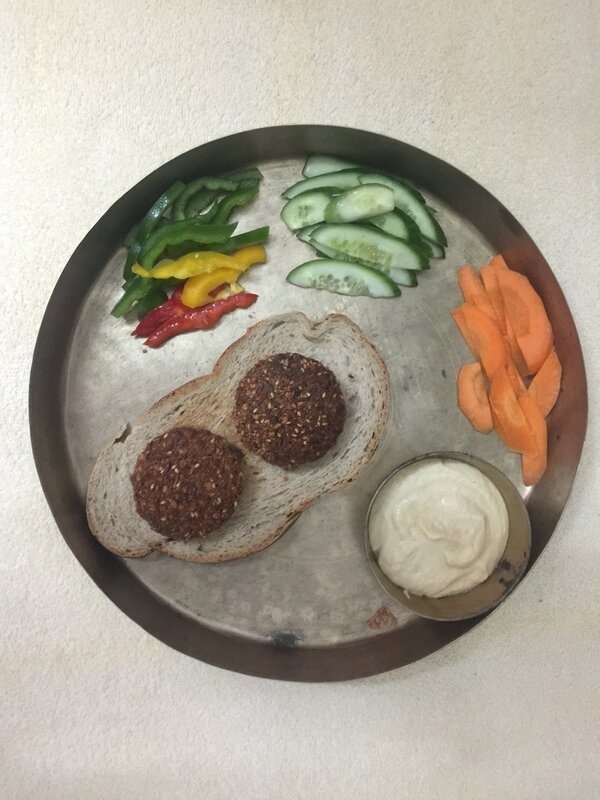 With decades of experience cooking under the most challenging of circumstances and having spent years living in the agricultural farmland - Amit shows that food can be healthy & tasty! Focusing on local ingredients and ensuring that every budget can afford the meals - the Food Is Medicine cookbook series will offer modern cooking with traditional ingredients and traditional cooking with modern ingredients - but the underlying theme being everything used has "medicinal" value. Holy Cancer: How A Cow Saved My Life - BESTSELLER! In book stores now (India only) & online at Amazon, Flipkart & Aditya Prakashan. E-book of Holy Cancer is now available on the Kindle! Given only 6 months to live by his doctors in the US, this is the incredible true story of Amit Vaidya who took his stage IV metastatic gastric cancer death sentence into his own hands. Rather than wait for the end, he embarks on a journey to improve the quality of life for his remaining days. In reality, his travels lead to a ‘back to basics’ living in rural India getting as close to the land, its soil, its roots, and its precious animals as possible. There, he unearths his cure. ​It only took leaving everything that was familiar to him to save his life. This is a story about taking each day as gift to live, survive and thrive. Now having gone into full remission, he recounts his amazing journey in this one-of-a-kind autobiography. "I had been preparing to die for so long, I wasn’t sure I knew how to plan to live. Time was a moving gift that I simply wanted should stand still." We all know a healthy diet does a body good. We also know that we are what we eat. Lastly, we know our systems begin to shut down when our bodies are no longer able to digest food. There's no two if's, and's or but's about it - food is medicine. Every patient, caregiver and individual deserves to know what nature has available to improve our quality of life. Food Is Medicine is one page cheat sheet being made available to patients, hospitals, clinics and educational libraries in multiple languages permitting each individual to have access to information that may ensure a healthier life. This is not an 'eat this, not that' flyer -rather, this is a 'why this, not that'. Please donate to our project - giving knowledge to cancer patients in regards to diet, what to eat, what not to eat, when to eat, how to prepare and why. Over 120 hospitals, clinics and centres already committed to carrying the one sheet in 7 different languages.